A Recreational Fishing Licence (RFL) covers all forms of recreational fishing in all of Victoria's marine, estuarine and inland waters. Using or possessing recreational fishing equipment in, on or next to Victorian waters. 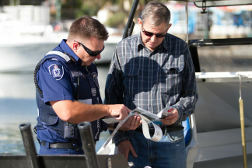 Unless you are exempt, it is your responsibility to hold a current RFL when fishing in Victoria - penalties apply for fishing without a licence. Your RFL may not be loaned or transferred to another person. 70 years of age or over;. Or a member of a traditional owner group fishing within an area subject to a natural resource agreement relevant to that traditional owner group. 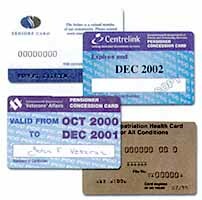 Ordinary HealthCare Card, PPS (Parenting Payment Single) and Newstart benefit cards, as well as Senior Discount and/or business cards do not afford an exemption to requiring an RFL. How do I obtain a licence? 3-year licence for $98.20 ($93.00 if purchased online). The RFL is GST exempt. New fees come into effect from 1 July every year. You can purchase your RFL online using the VFA website (discounted fee) or by attending and purchasing from an authorised agent (standard fee). A plastic RFL card will be provided free of charge for all 1 & 3-year licences purchased online. A PDF copy of your RFL will be provided via email for all purchases made online (including 1 & 3-year). These PDF's can be stored electronically on your mobile device or printed. You can pre-purchase your RFL to start up to 3 months from the actual date of purchase. Hand-written licence issued by an authorised agent. To purchase your RFL online you will need a printer to provide proof of purchase or a mobile device to store it electronically. If you purchase a 1 or 3-year RFL, please allow up to 10 business days for your plastic RFL card to be received via post. The RFL is also available from many recreational fishing licence outlets throughout Victoria, please note standard fees apply. An RFL purchased through an authorised agent will not receive a plastic RFL card. An RFL purchased through an authorised agent will be provided with a hand-written paper licence only. Click here to find a licence outlet near you. If your RFL was purchased online you will be issued with an electronic PDF RFL via email within 2 business days of the request. If your RFL was purchased through an authorised agent, you will receive a duplicate copy of the RFL either as a PDF RFL via email or a hand written licence in the mail depending on the method of sale. The VFA will post this replacement licence within 5 working days of a request. Please note: We do not provide replacement plastic licence cards. Hand-written licence issued by a standard authorised agent. Changed address or need to update your details? In most instances a replacement RFL will not need to be issued. Before going fishing remember to familiarise yourself with latest edition of the Recreational Fishing Guide. This guide has details of size and catch limits and other regulations. The Recreational Fishing Guide can be found on this website or available on both the Apple app store and Google Play. Maps showing the bays and inlets defined in the Fisheries Regulations 2009. A Victorian RFL is not valid in other states or territories so check if you need a licence if you intend to fish interstate. If you plan on doing any fishing across the NSW border, you may need to pay the NSW recreational fishing fee. This link will take you to the relevant NSW recreational fishing page. The VFA is committed to protecting personal information provided by you in accordance with the requirements of the Information Privacy Act 2000 and the Fisheries Act 1995. The personal information you submit, including your email address, will only be used by the VFA for the purpose of issuing and managing recreational fishing licences and will not be disclosed to a third party, except where such disclosure is required or authorised by or under law or in instances where we may engage the services of research consultants under strict privacy conditions to use your contact details to advise you and/or seek your opinion on matters concerning recreational fishing, such as fishery management plans, legislation (including regulations) and recreational programs. Should you wish to access your personal information relating to your recreational fishing licence, please email the Recreational Fishing Licensing Team at rec.licensing@vfa.vic.gov.au.